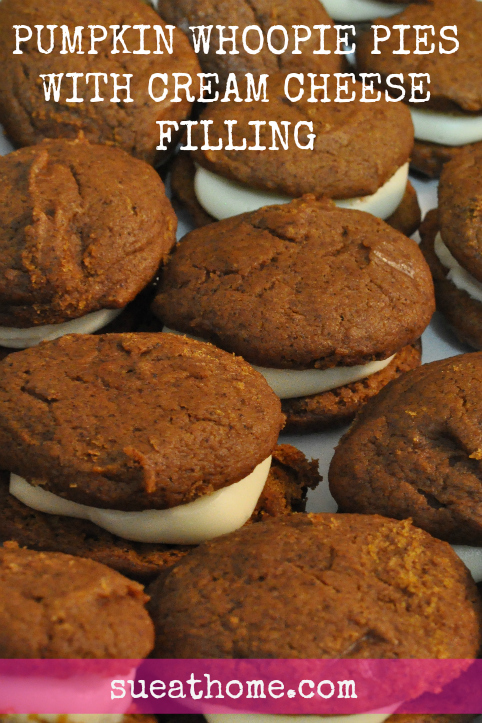 In the latest installment of If I Can Make It, You Can Too, I’m bringing you one of my favorite baked treats: Pumpkin Whoopie Pies with Cream Cheese Filling. I’ve made this recipe a few times and it is a major crowd pleaser. (I think it would be a nice addition to all the pies traditionally served at Thanksgiving.) Personally, I’ve never met a cream cheese frosting I didn’t want to marry and this is one of my favorite ways to use it. 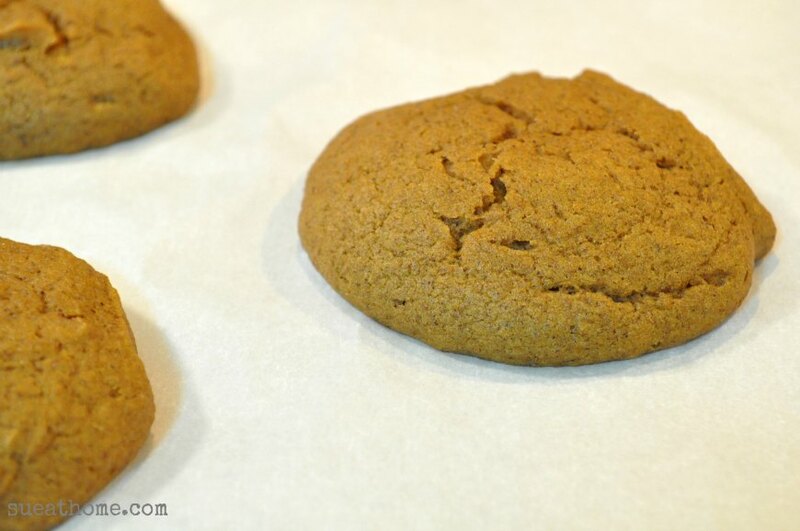 The recipe comes from Martha Stewart via Baked bakery and you can find the full recipe here. I didn’t change the recipe at all — though I would like to mention that Martha’s recipe says it makes 12 whoopie pies and unless they’re the size of your head, that is waaaay off. Last year, I made them silver-dollar bite-size and the recipe made about 50 of them. This time, they were a little smaller than the diameter of a baseball and the recipe made about 25 one-and-you’re-done-size whoopie pies. 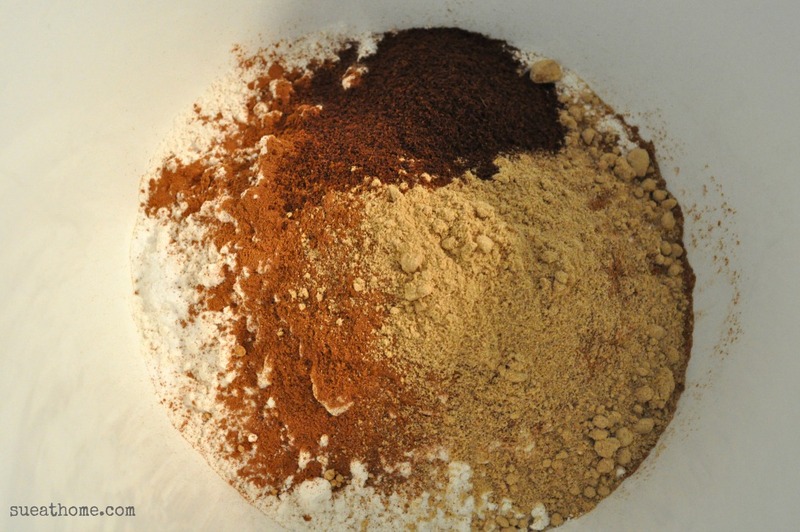 First you mix the dry stuff: flour, salt, baking powder, baking soda, ground cinnamon, ground ginger, and ground cloves. Isn’t it pretty? Make sure you sift it all together. 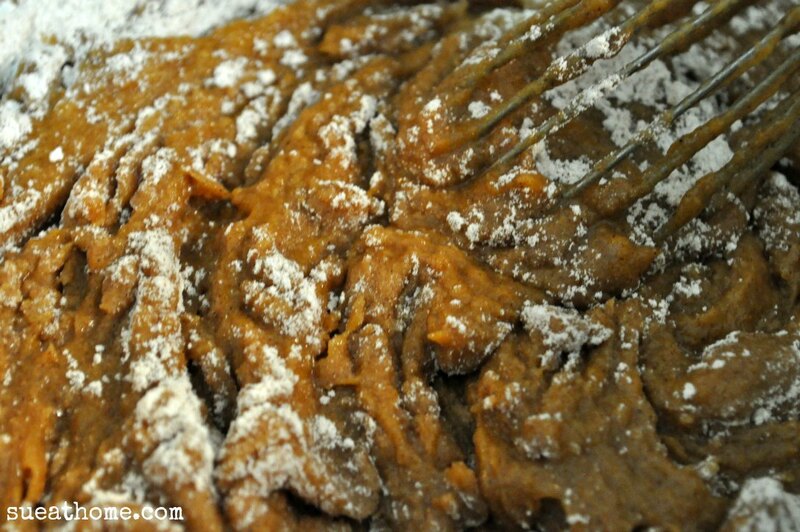 In a separate bowl, whisk together the oil and brown sugar. Anything that calls for this much brown sugar is a good recipe in my book. Next, mix in the pumpkin puree. Then the eggs and vanilla. 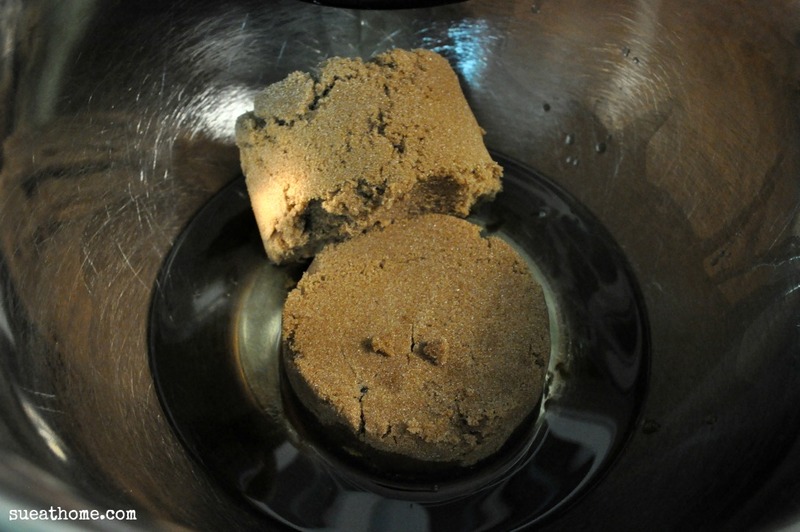 Once you’ve whisked everything together, your two bowls (dry and wet) should look something like this. 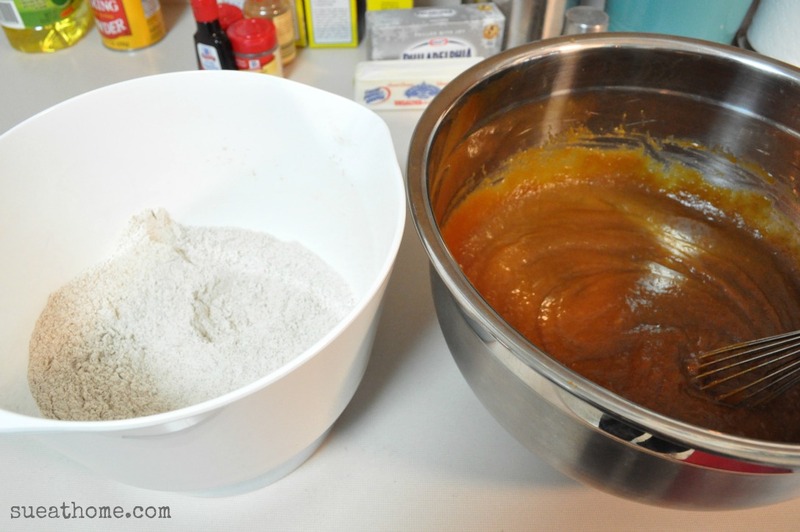 Then — adding a little bit at a time — mix the dry mixture into the wet mixture. 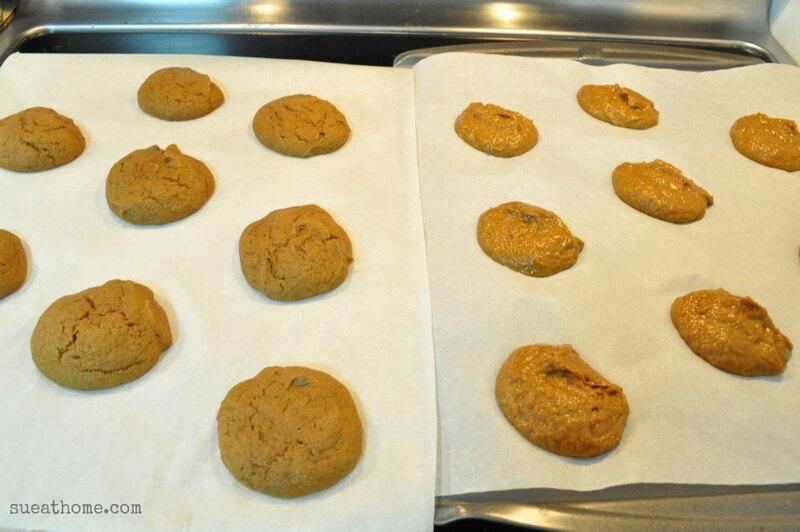 Here’s what the little babies should look like when they’re fulled baked. Watch out for the those “I’m done” cracks. Once they’re cool, you can get to the filling. (In fact, you can bake them the day before you fill them and just store them in the fridge overnight.) Mix your softened cream cheese and butter with confectioner’s sugar and vanilla for a filling so delish, it brings tears to my eyes. Instead of a piping bag, I just stuff it into a ziplock bag and snip the tip. 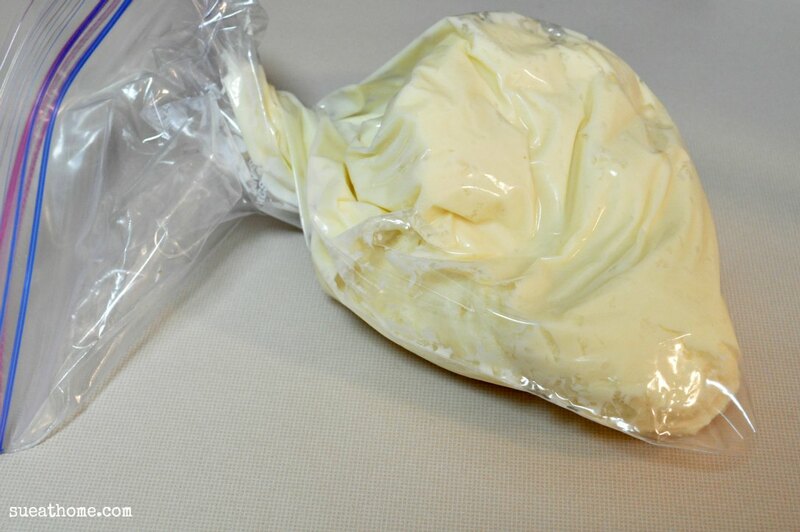 Make sure you fold the top of the bag down before filling it, so that you don’t get frosting all over the opening. 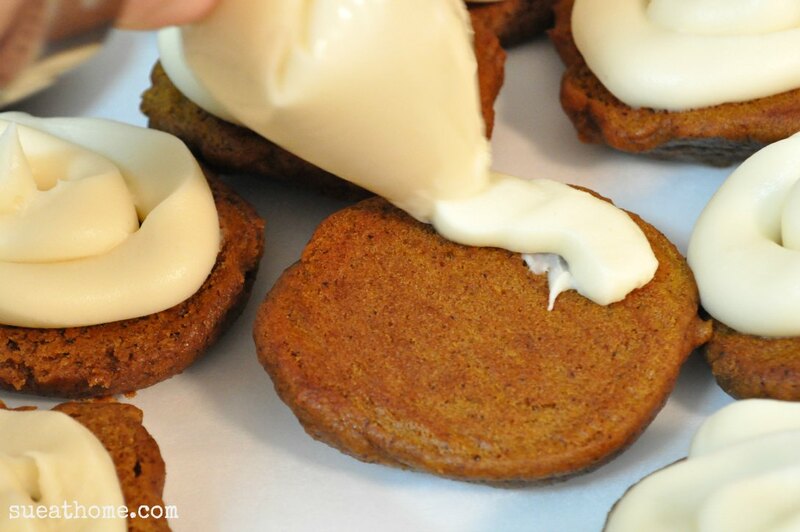 Then just lay out half of the pumpkin cookie/cakes and pipe on some ample frosting onto each one. Next, just put the tops on and you’re done. Make sure you refrigerate them if you’re not serving them right away. (That goes for all cream cheese frostings or fillings.) 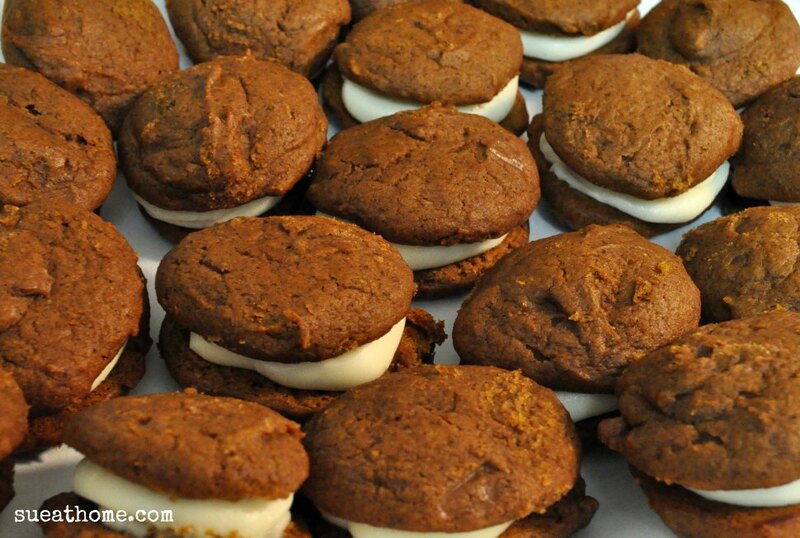 If you weren’t paying attention above, here’s that link for the full recipe again: Martha Stewart’s Pumpkin Whoopie Pie recipe. 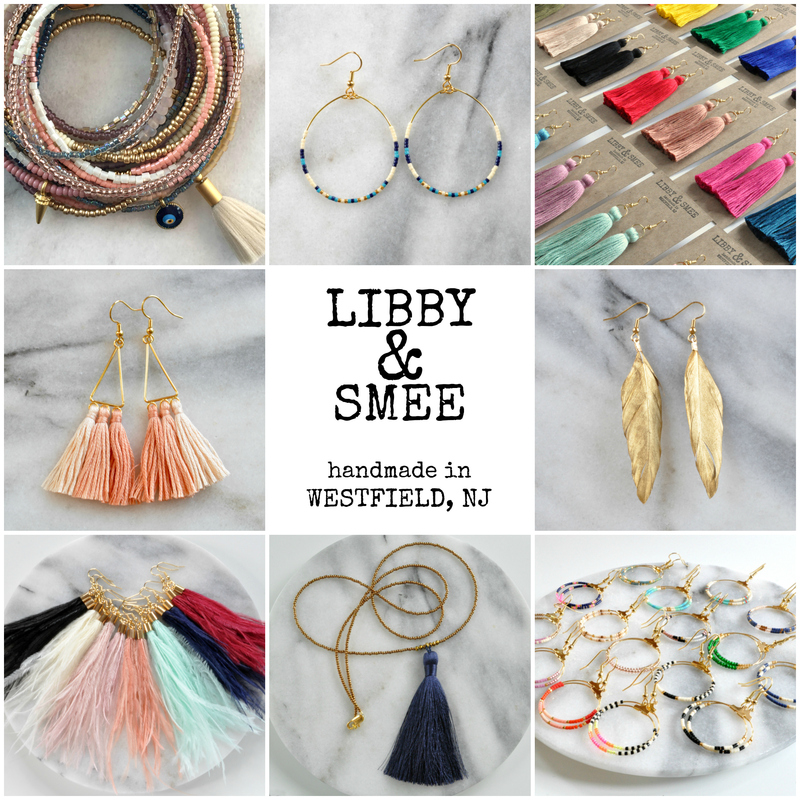 I promise, you will not be disappointed! So, tell me…is it a cookie or a cake? It’s certainly not a pie, despite it’s name. And it definitely has a cake-like consistency to it. But it’s hand held, like a cookie. (Plus, it’s a cookie on my World’s Biggest Cookie Swap Pinterest Board.) So…is it a cookie or cake? Let me know what you think in the comments. Enjoy! And have a delicious Thanksgiving! P.S. For more If I Can Make It, You Can Too recipes, check these out. I can attest to the full on deliciousness of these whoopie pies! I’m pretty sure I squealed they were so good!